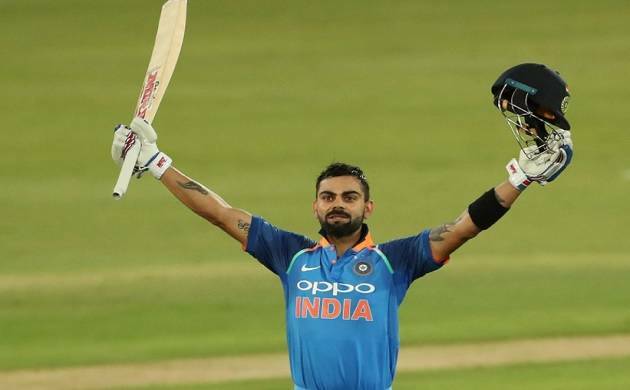 Kohli has become the only second batsman after South Africa’s AB de Villiers to attain the 900-point mark concurrently in both formats and one among only five to have crossed 900 points in both forms of the game. India captain Virat Kohli became the only second batsman in the history of the game to cross the 900-point mark concurrently in Tests and ODIs, while pacer Jasprit Bumrah grabbed the joint top position among bowlers in the latest ICC ODI player rankings released on Tuesday. The 29-year-old consolidated his top position with 558 runs in the 5-1 series win over South Africa, during which he slammed three centuries. Kohli thus moved ahead of Brian Lara in the all-timers’ list, having also overtaken him in the all-timers’ Test list last month. He is now seventh in the ODI list of all-time rankings that is led by Vivian Richards with 935 points. The India captain is now a good 22 points clear of Sachin Tendulkar, whose ODI career high of 887 points came against Zimbabwe in January 1998. Kohli’s aggregate is the best since Brian Lara reached 911 points in March 1993. India opener Shikhar Dhawan, who aggregated 323 runs in the South Africa series, is another notable gainer in the latest rankings even as a clutch of Indian bowlers made rapid strides in the latest rankings, including the wrist-spin duo of Yuzvendra Chahal and Kuleep Yadav. Leg-spinner Chahal has moved up eight slots to 21st position with 16 wickets in the South Africa series while Chinaman bowler Yadav’s 17 scalps have helped him move up 15 positions to take the 47th position. Bumrah’s eight wickets have lifted him two places to take the joint-first position. Afghanistan leg-spinner Rashid Khan has joined Bumrah at the top with 16 wickets in the series against Zimbabwe which Afghanistan won 4-1 to become the youngest to attain top ranking. His 51 runs in two innings in the series, including a brisk 43 in the final match in Sharjah on Monday, has also helped him break into the top-five in the list of all-rounders while he has also moved up 11 slots to take 114th place among batsmen. For South Africa, Faf du Plessis’ 120-run knock in the first ODI against India, after which he was ruled out due to an injury, has seen him gain one slot to reach eight position. Meanwhile, India (123) continued to top the ODI team rankings, followed by South Africa (117) and England (116). Interestingly, Afghanistan have overtaken Zimbabwe in the MRF Tyres ICC ODI Team Rankings. Afghanistan have gained four points to take 10th position with 55 points while Zimbabwe have lost three points to be on 50 points.